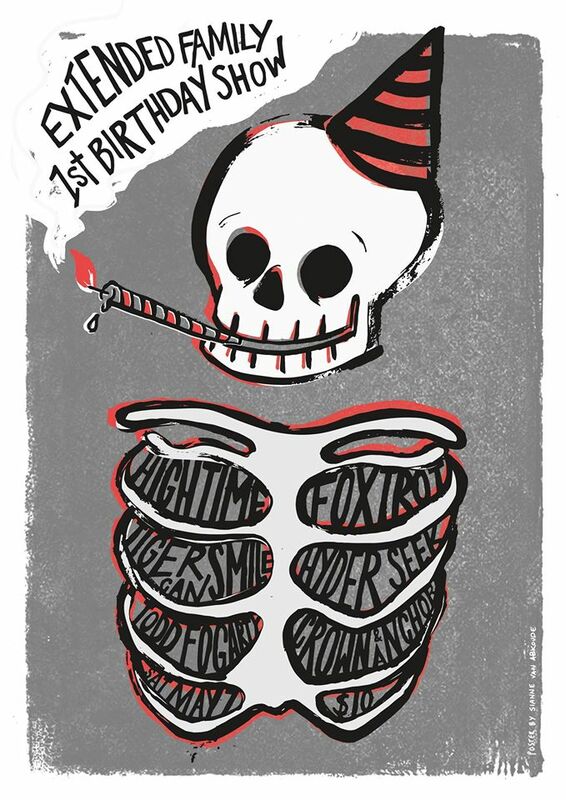 Extended Family are celebrating their First Birthday this weekend, with a night of live music at the Crown & Anchor. Hightime, Foxtrot (VIC), Tiger Can Smile, Hyder Seek and Todd Fogarty are all playing, and for a small price of $10. Onto the gig guide..